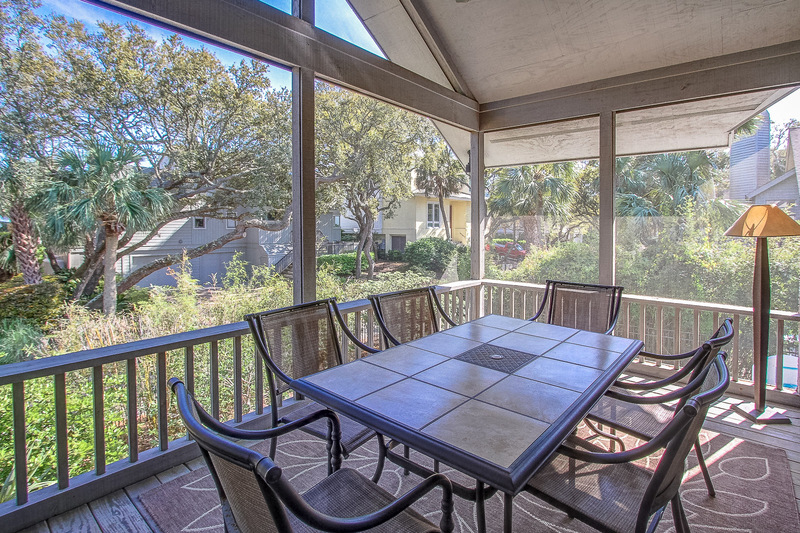 The frosty dog – Have a doggone good time in Hilton Head! 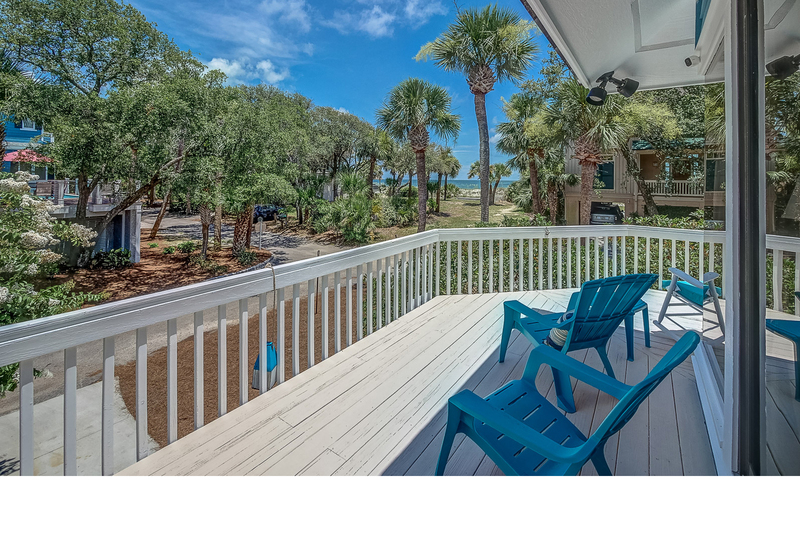 Oceanfront view without the oceanfront price. 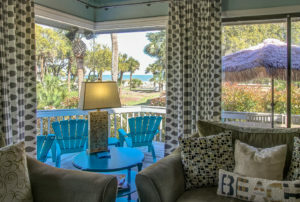 Enjoy the spectacular views of the ocean from the comfort of the living room or relax and watch the 70 inch fully equipped TV after a day at the beach. 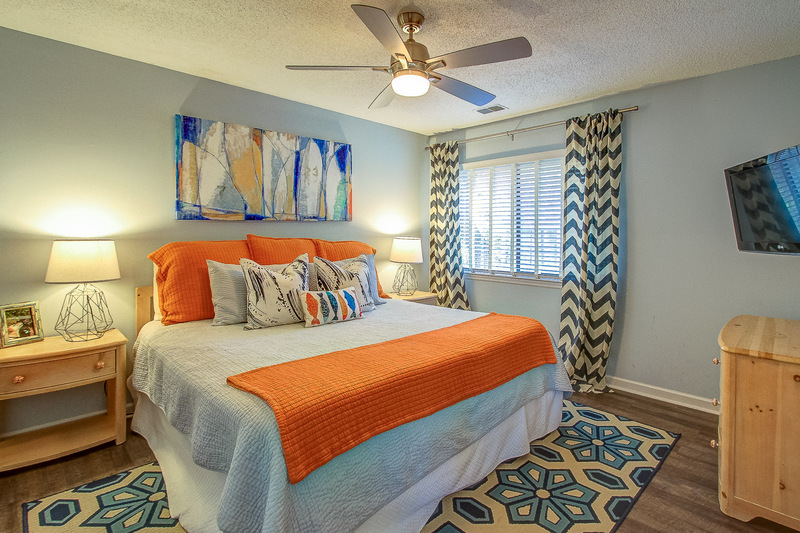 The roomy master bedroom is equipped with a reclaimed wood king size bed, a walk in closet, a work desk, a comfortable chair, a flat screen HD TV, and a private bathroom with tub. 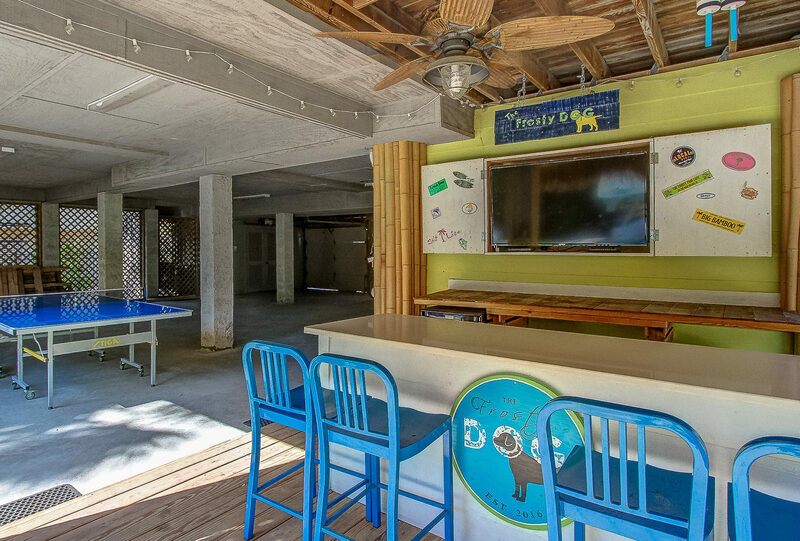 Relax by the pool at the Frosty Dog tiki bar. 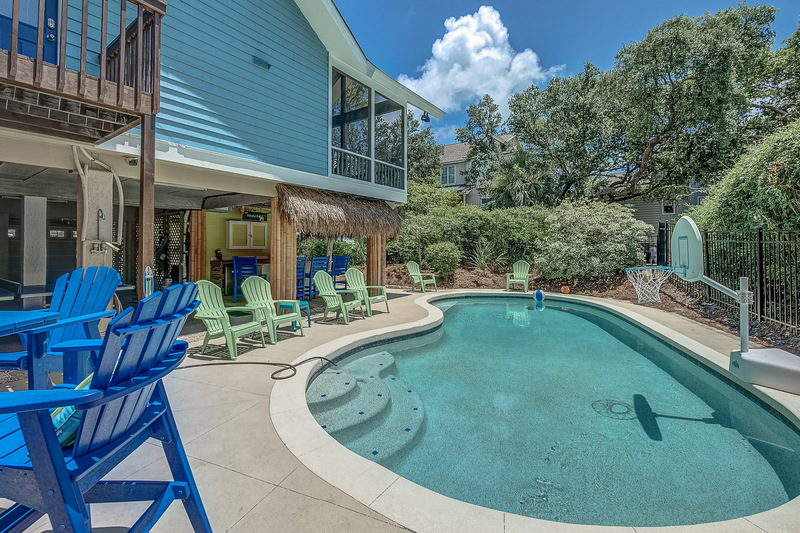 Take a dip in the pool, play a game of ping pong or catch your favorite show while basking in the sun. 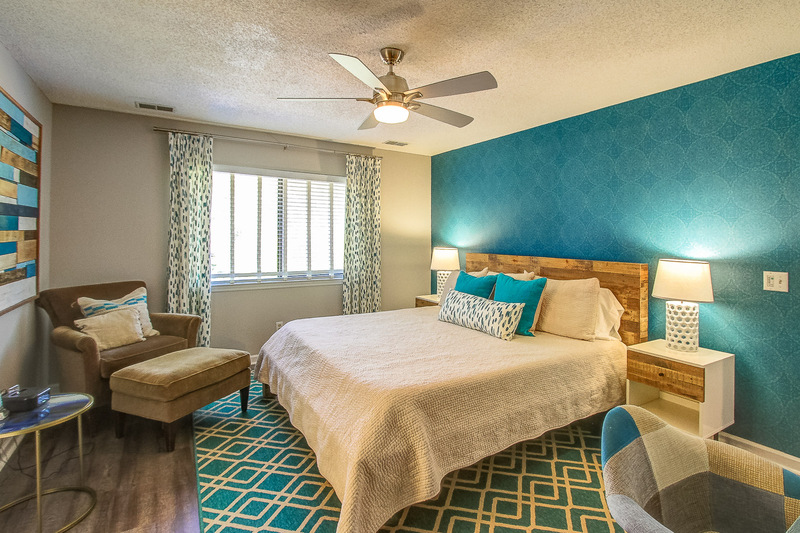 The second master bedroom is equipped with a king size bed, dresser, closet, flat screen HD TV, private bathroom and a jack and jill shower. 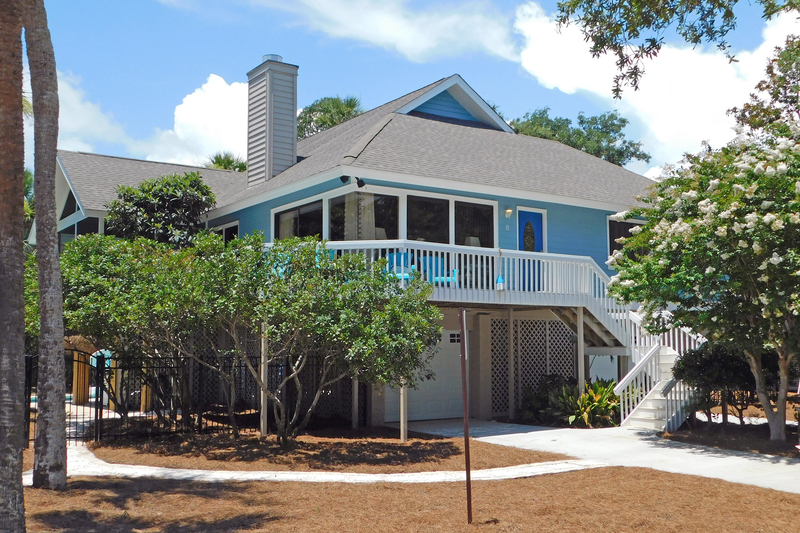 Back from the beach and looking for something to do? 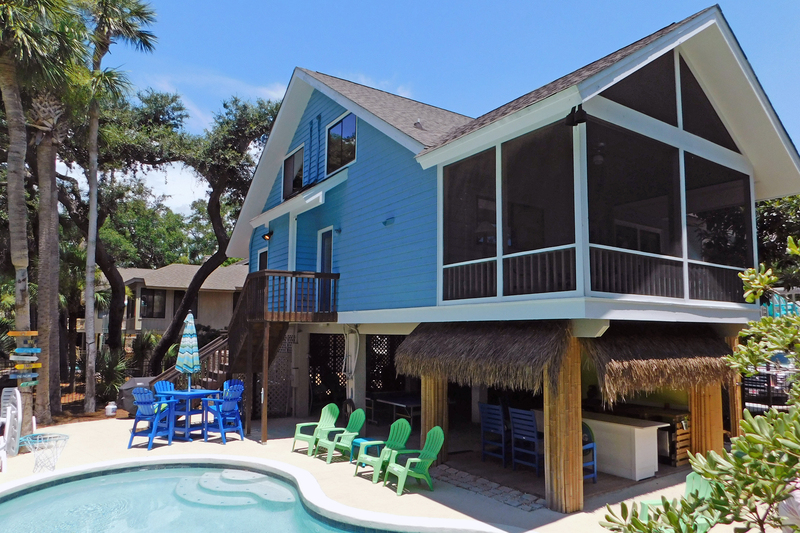 … Play a game of pool basketball, take in some ping pong, relax by the pool or have lunch under the palm trees. 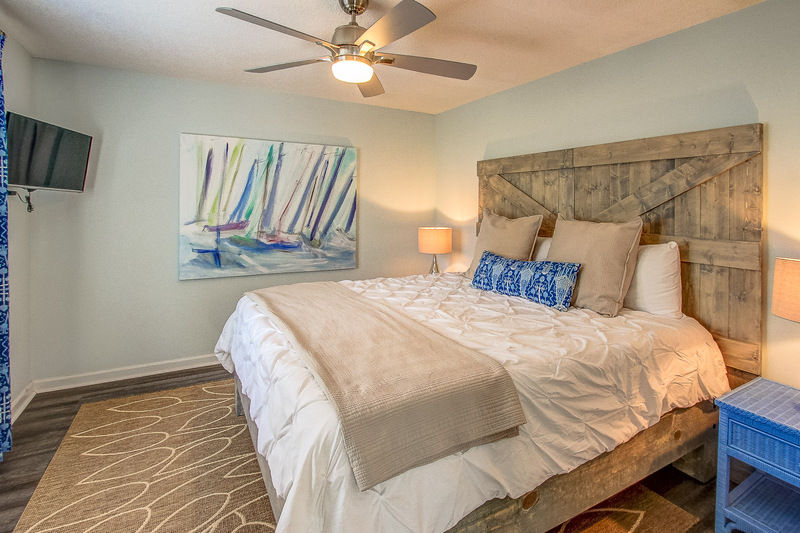 The third master bedroom is furnished with a reclaimed wood king size bed, dresser, closet, flat screen HD TV, private bathroom and a jack and jill shower.